Are Recreational Boating Fatalities Decreasing? Home » Are Recreational Boating Fatalities Decreasing? The U.S. Coast Guard has some good news for summer boaters. According to the 2015 Recreational Boating Statistics report, the number of boating fatalities nationwide is 626, which is the third-lowest number on record. The report goes on to say the number of injuries caused by recreational boating accident injuries have decreased from 2,678 reported accidents to 2,613— a 2.4 percent decrease from the previous year. However, alcohol was still the leading factor is fatal boating accidents and caused 17 percent of all deaths occurring on recreational boats. Operator inattention, inexperience, machine malfunction and speeding are the other primary factors in boating accidents. Every time you take your boat out is a new experience and you want to make sure it is a safe one. Always abide by these safety tips to ensure you and your passengers make it back home safely. Though the number of fatal accidents has decreased this last year, the danger is still present. 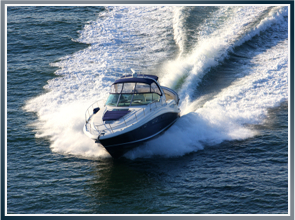 Latti & Anderson LLP is a maritime injury law firm that helps victims who have been injured in boating accidents. Previous Why is This Deckhand Suing a Marine Towing Company? Next Are Overweight Shipping Containers Safe?